The latest addition to the "OMG ADELE IS THE COOLEST LET US FANGIRL OVER HER" list comes in the shape of the singer stopping mid-performance to have a go at her security guard for telling fans to sit down. "Just before we go to the next song…excuse me sir? Could you stop telling people to sit down?" the 28-year-old yelled to the security. "If you don't like dancing, don't come to a f***ing music show. If I see one more person get told to sit down, I swear to God." 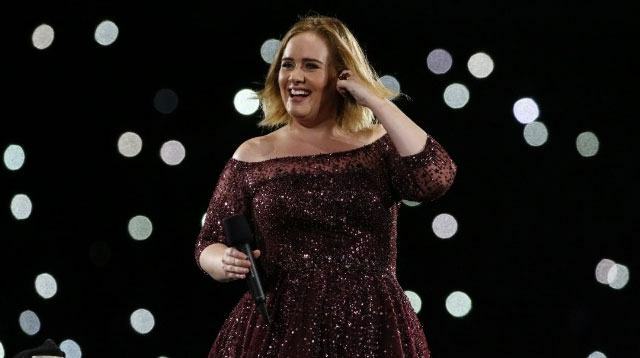 And if that wasn't enough to cement Adele's status as a total queen in Aus, the singer accidentally helped a couple get engaged during her opening song "Hello," with onlookers gushing on Twitter about how special the moment was. By "accidentally," we mean Adele seemingly didn't actually realize the proposal was gonna happen. She invited Chris on stage after seeing him cry during her opening song, "Hello." His boyfriend then got down on one knee and popped the question, much to the satisfaction of the whole crowd watching. "That wasn't planned, I had no idea!" Adele told the crowd as Chris and Wade left as a newly engaged couple.